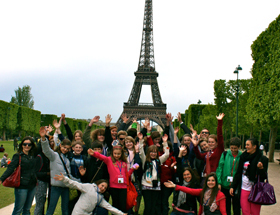 Ermitage International Studies Program seeks qualified IBDP and IBMYP faculty for their expanding International Baccalaureate program in Maisons-Laffitte France (Paris suburbs). Qualified candidates for full-time positions in the Sciences (physics, biology, chemistry), humanities (psychology, history, economics, global politics), Mathematics and languages (French, English, and Spanish) have demonstrated experience in English speaking international classroom environments. We welcome motivated applicants, who are eager to contribute to our unique learning environment. Salary according to experience. The ability to speak French is a plus. Candidates must be able to provide valid working papers for the EU. To apply please e-mail your CV and cover letter with the contact information for 2 references to opportunities@ermitage.fr. Given the high interest, we will not be able to respond personally to all applications. Ermitage is always looking for new talent to add to our team. We look for a solid knowledge base of the subject to be taught, but we also seek candidates willing to work with different pedagogical approaches and with colleagues from all over the world. Fully qualified candidates should demonstrate high academic standards and be able to challenge and engage students by initiating and facilitating classroom discussions. Ideal candidates are bilingual in French and English and hold an EU passport and/or have relevant working papers for employment in France. Please send your letter of motivation and resume to opportunities@ermitage.fr. Due to the high volume of employment inquiries, we will be unable to personally respond to each candidate. Without a response on our behalf, you may assume that your profile has not been retained.